Natural Passion is proud to announce The Seed to Know product making classes! Have you ever wondered, "How do they make that?" Well, you can learn how personal care products are made through the Seed to Know product making classes. We offer regular instructional classes on how to make a variety of natural and organic personal care products. Our classes include instruction, materials, actual product making (which will be yours to keep), and a BYOB wine forum. You'll learn the basics of product making in a comfortable environment where exploration and questions are encouraged! We begin our classes with introductions, math, and basic ingredient knowledge. During this time, you select colors, scents, and other options. Next, is the product making demonstration. We make the product first and then it’s your turn! After making your own products, we caucus with questions and comments over the BYOB wine forum. Additional supplies will be available for purchase after class. Are you ready? Please see specific class for location and class time. Free parking is available in the parking lot and on adjacent streets. All classes are $30 and must be paid in advance. A minimum of 5 participants must attend each class. Due to the wine forum, all attendees must be 21 years of age or older. Safety first. We use fragrance oils, essential oils, and nut based products. Please contact us first, if you have any questions or issues regarding allergens. No refunds unless class is cancelled. Don’t forget to bring your apron! In this class, we will be making a non-edible caramel latte whipped coffee body butter and a caramel latte coffee sugar body scrub using natural ingredients. 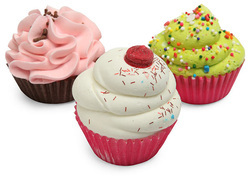 In this class, we will be making one cupcake bath bomb and one sphere bath bomb using fragrance oils. 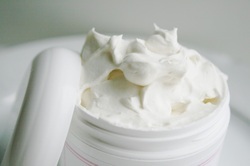 In this class, we will be making body butters using fragrance and essential oils. 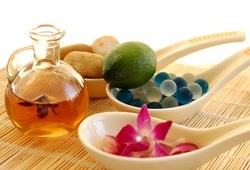 In this class, we will be making body/massage oils using fixed vegetable oils.